To receive your clues using the QR codes, you will need a device (iPhone, iPod, Android, etc…) that you can put apps on. 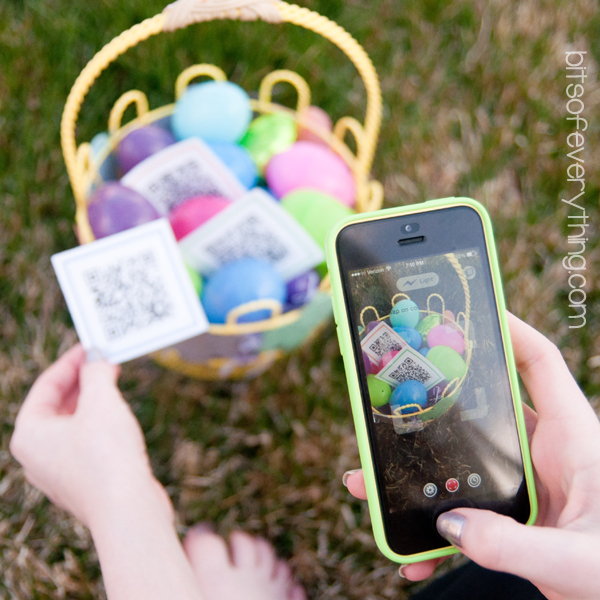 There are several free apps you can use to scan your QR codes very easily. The one that I use is simply called “Scan.” (Note: if you plan to be far enough away from home, away from your wireless internet, be sure to have cell phones available.) When the QR code is scanned, it takes you to an image on my blog that has the clue on it. Simple as that. All the clues are numbered. 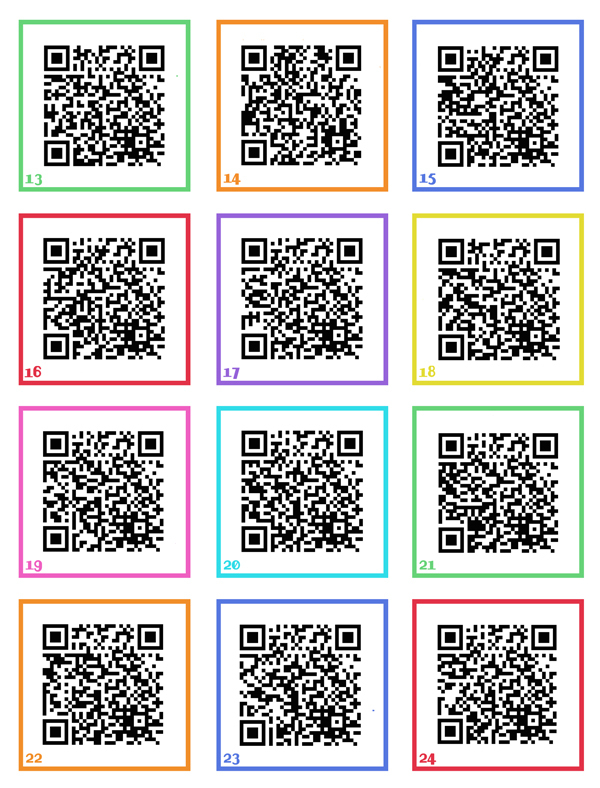 The QR codes are numbered to match the corresponding clue. 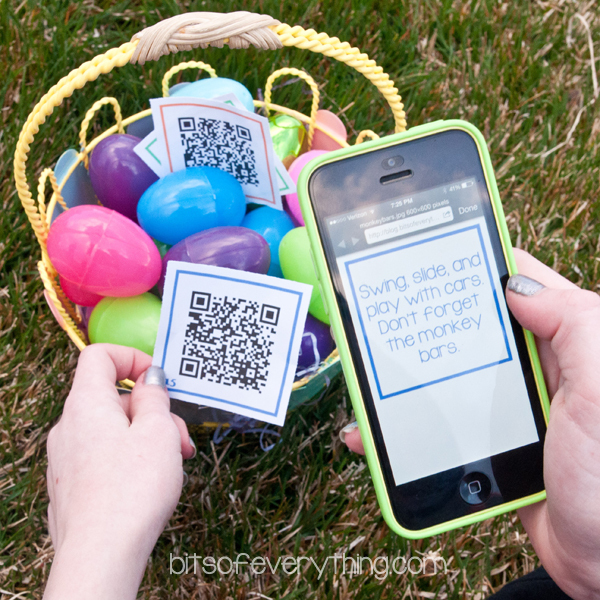 Print all the QR codes and only use the ones that work for your yard. I tried to come up with a lot of options – since we all have different things in our yard. You could also just print out my clues and NOT the QR codes. That would be fun too! To make this hunt just a little trickier, I wanted to make the Easter Eggs blend in a little more. No more bright colors that pop out for the big kids. One kid will look for brown eggs and another kid will look for green eggs. Both of these muted colors should blend in more and be just a little bit harder to find. They need a fun challenge! This is such a fun idea! My kids are going to love doing this. Pinning! Thanks so much for sharing this! My kids will love it! Ummm… how cool are you? Seriously this is awesome! This is such a fun idea! I bet your kids love it! Pinning so that I can use it when my kids get older. wow … thank you, this is perfect for my kids and they will get such a kick out of it! 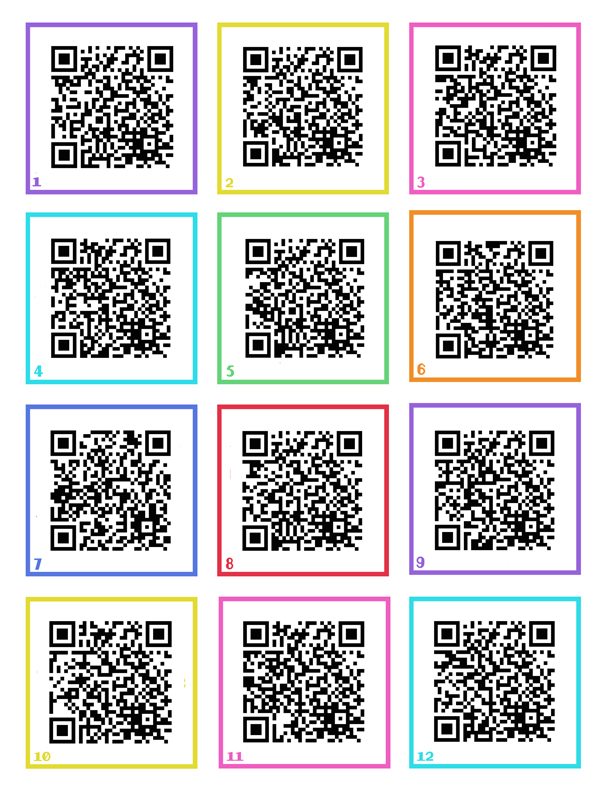 FYI … I’ve downloaded the first set of QR’s with no problem, checked them & they worked great. The second set however, won’t download. I downloaded all sets easily and the QR codes seem to work fine. Three days before Easter and my husband says, “You are going to have an Easter Egg hunt for [our son] and his friends aren’t you? Actually, I thought at 17 I wouldn’t have to anymore; wrong. Thank you SO much for helping me make this a fun event and saving me LOTS of time. LOVE IT! Were you able to get more difficult clues? My kids are older and would enjoy more difficult ones as well! Oh my goodness – this is amazing! You are a rock star for creating and sharing this 🙂 Thanks so much! Thank you for the effort you did and sharing with your readers! 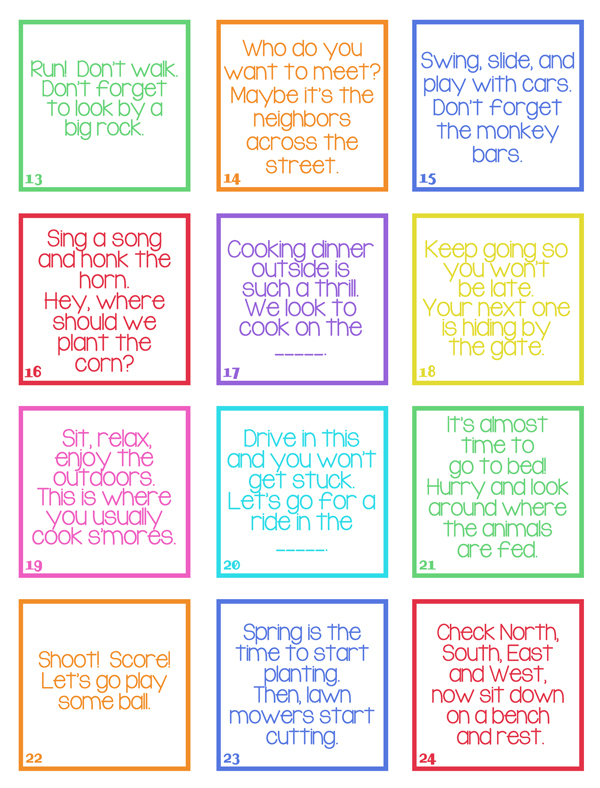 I was able to use 14 of these clues for our yard! Update: I changed three of your clues to fit our yard and added one for the Golden Egg with Chic-Fil-A gift cards. The teens were SO pleasantly surprised that it was so much fun. We have a lot of trees and some clues were in similar places but they had to go from one part of the yard and back many times. My kids aren’t crazy about candy so I found items to make it more personal like air freshener vents wraps for the car since they are driving and s’more ingredients made with the Peeps (Pintrest idea), Funky Flames for social gatherings around the fir pit and the small generic party poppers. One of the last stations had a drink on ice and another had the hand sanitizer wet wipes. Of course some candy but at least it wasn’t an overwhelming amount. Thanks SO much for all the effort you put into this idea. It saved me so much time. How did you change the clues? I need to and cannot figure it out. Thank you! Tip: The way I changed the clue was to find a QR Generator from the internet and used Plain Text. It wasn’t as pretty but it got the job done. Then I printed them on sticker paper, cut the code out and stuck to a bag or basket at each station. Hi, this is awesome and I would really love to use this for my oldest son this year – I am having difficulty downloading the images for the codes. Is there any way you can email me the pdf’s? Did you get a response as I am also not being able to download image or QR code. I did this last year for my eight going-on-nine year old. It was wonderful! This year he wondered if the Easter bunny (yeah, he still believes…☺️) …”was still going to do that thing with (phone)”. I was so happy that he was looking forward to it. Thanks. This is so cool. Thank you so much for helping me with my procrastination! I am sure the older kids will love this tomorrow. I did this with my teens (13,14,18) this year and they LOVED it!!!! I hid one egg at each spot so it was a race too. Very fun and active. The clues were great and the download was super easy. Thank you!!!!! Thank you so much for sharing this activity! We are having an Easter Egg hunt for all of my parent’s great grandchildren who range in age from preschool to teens. The preschoolers are having one hunt and the pre-teens and teens will have another. 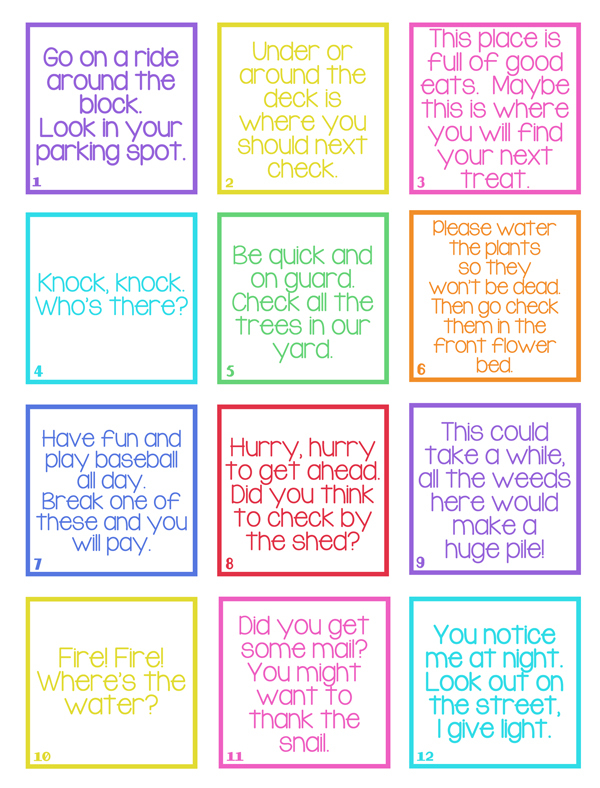 I do need to change some of the clues because it needs to fit my daughter’s home and yard but I think it will be fun and challenging for me to do it. I can’t wait to see their reactions and watch all the fun. Happy Easter! This is an amazing idea. Works great with the free qr scan apps. Thanks so much for coming up with this idea. My 10 year old is gonna love it. Thank you for a great idea for Tweens – Teens! I am a grandmother who is technologically challenged. This helped me a lot! My grandchildren still love their Easter Hunt and hopefully I’ll really surprise them this year! Thank you for doing all of the hard work for me. My older grandchildren will LOVE this! I am also generating a harder list for my adult children, codes with pictures. Thank you so much for sharing your fantastic idea. I downloaded all pages with no problem. I am sure my teens are going to love it!!! YAY!!! I printed the codes and the clues and they work perfectly!!!! My crazy kids and their cousins are going to love this!! THANK YOU!!!! Thank you for sharing your idea!! This was awesome! We had family members of all ages participate. We divided up into teams. The teens and young adults especially loved it! We put the clues in the hidden eggs, so they had to follow the clue to the next egg, before they got their next QR code to look for. We live near a large park, so we also gave them a map of the park, and put the eggs throughout the park using some of your clues (e.g. monkey bars, park bench, etc). We lucked out with beautiful weather, so hiking through the park made it extra fun. I added another clue (for the boardwalk in the park) by just including a handwritten clue. I also gave bonus points if they sent me a Snap Chat or group selfie from the park bench. Thank you so much for sharing this! They all want to do it again next year! Any chance you’ll add some new clues or make an indoor one in case it rains? The hardest part was figuring out the order for each team to find the clues in. I wanted each team to find their clues in a different order so they weren’t all going to the same spot at the same time. (I had a different colored plastic egg (one for each team) at each location. This way, each team was sent to a different location to find their next egg/clue. The older kids had a lot more running back and forth between clues, than the younger kids did. That worked out great, although it took me a bit to get it planned out. Thanks again for sharing this; it created memories that will last a lifetime for us! 🙂 Happy Easter! Super cute! Thank you for the time it took to put this together and for sharing! What an amazing idea. Many thanks for this. I will let you know how it is received in Australia on Easter Sunday! 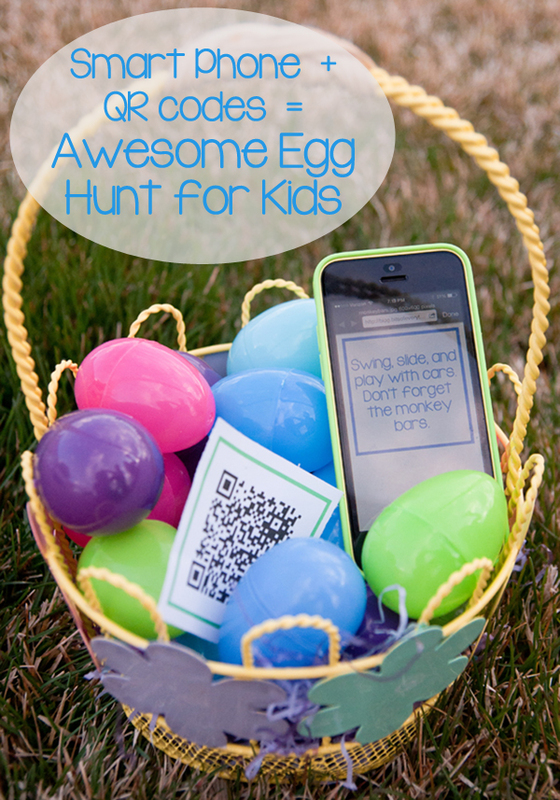 This looks great, my son loves an egg hunt but at 12 the clues I have are a bit young, His phone is never out of his hand so you will make me look like a great mom, for using tech for a new egg hunt. thank you. Thank you so much for sharing this. You just helped turn a potentially awkward family gathering (too many teens) into a really fun time. This is awesome! Such a great idea! Thanks for being so generous to share it! Thank you for sharing these amazing ideas! I am so grateful. I can’t wait to use the QR code hunt with my 10 year old. She loves doing Easter Egg hunts, but the traditional ones are too easy for her now. I organized this egg hunt with a neighbor and friend last year and it was a blast. It kept the kids busy for 3 hours! The adults enjoyed dessert and drinks on the patio watching the kids work together to figure out all of the clues. We hid eggs at both houses so they had to ride bikes in between clues. We loved it so much we are doing it again this year! We used this today for kids my step-“kids”, age 13 and 18. They loved it!!!! Thank you so much!!! I did this just yesterday for my 4 grandchildren 12-12-15 and 16. They loved it, their parents loved it and they are already asking if we can do this again next year so please have some new clues!